17 Chi Omegas Ran The Chicago Marathon FTK! "You ask me who I run for and I'll tell you. I run for those who do not get a break from chemo or transplants. I run for all of the kiddos and their families who are going through the unimaginable. I run for more birthdays and more smiles...but most importantly I run for my mom! Because let me tell ya, running 26.2 miles is nothing compared to the battles they face everyday." 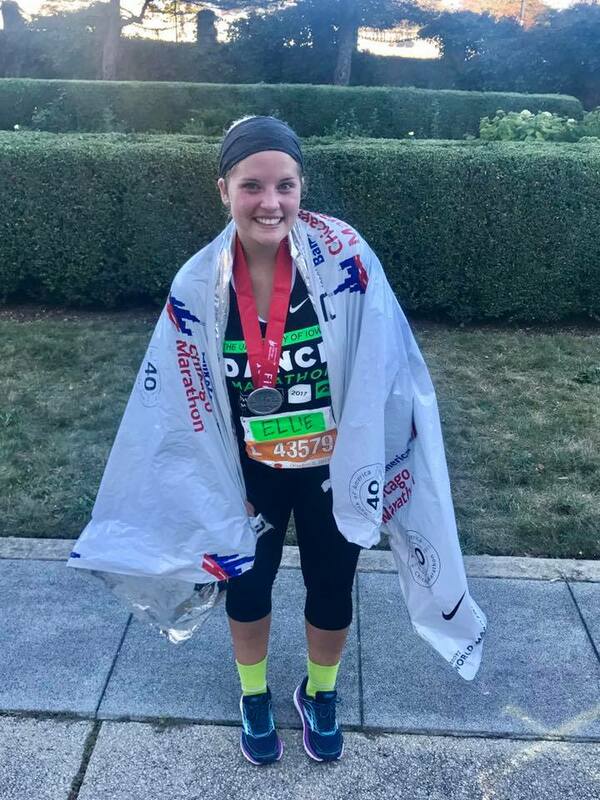 "Running in the Chicago Marathon was easily one of the most rewarding experiences I have had and it completely changed my point of view on how strong your mind is. Running has never been easy for me and even throughout training, I knew that it would be a miracle to survive the marathon...but I did! Not only did I complete my first marathon, but I LOVED IT! The energy and support that was continuously present the entire 26.2 miles from other Chi Omegas and Dance Marathoners were what carried my feet. If i hadn't gotten to think about our amazing kiddos and constantly hear "FTK!" the entire way, I don't know if I could have done it. BEST DAY EVER and of course, FTK!" "Every blister, every cramp, every step, and every mile was for those kiddos on the 11th floor of the Children's Hospital." "These kiddos have inspired me to reach beyond what I ever thought I would be able to do. Having the honor to run a marathon to not only help, but inspire, these kids undergoing the unimaginable has been my favorite and most valued opportunity of my college career. I can only hope that the organization of Dance Marathon is changing their lives as much as it is changing mine. FTK always!" 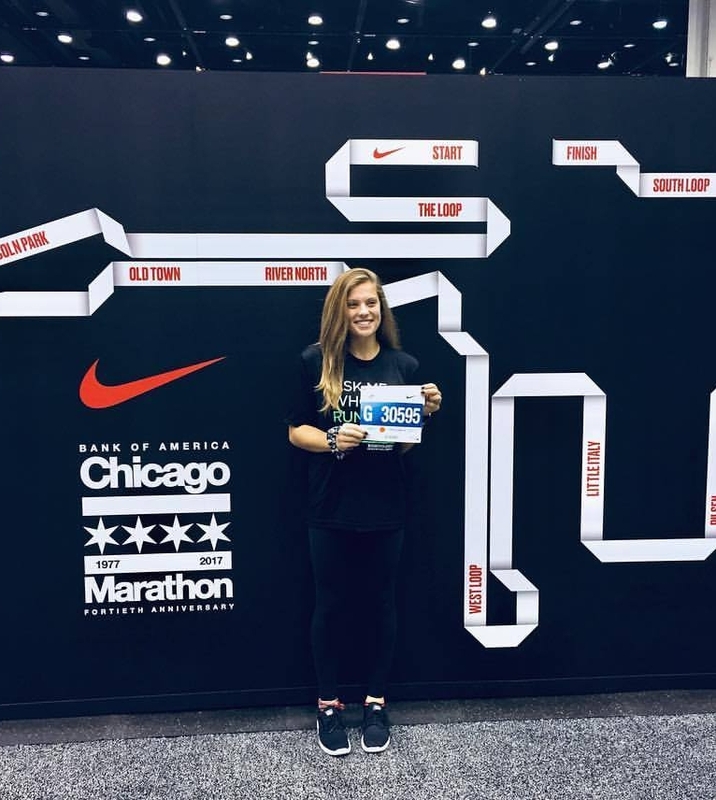 "This was my second year running the Chicago Marathon FTK, and to say I was like a little kid on Christmas would be an understatement. I always underestimate the passion that exudes from the spectators as well as the other Dance Marathon runners. We were like a pack moving through the streets of Chicago screaming "FTK!" and "GO HAWKS!" These marathons have been my two favorite memories at Iowa. There really is nothing like doing your favorite thing with some of your favorite people for the best kiddos out there." "If you zoom in on my arm, you'll see the words: "For those who can't, for those who are still fighting" and I think that truly says it all. There isn't anything I wouldn't do for the kiddos up on the 11th floor. 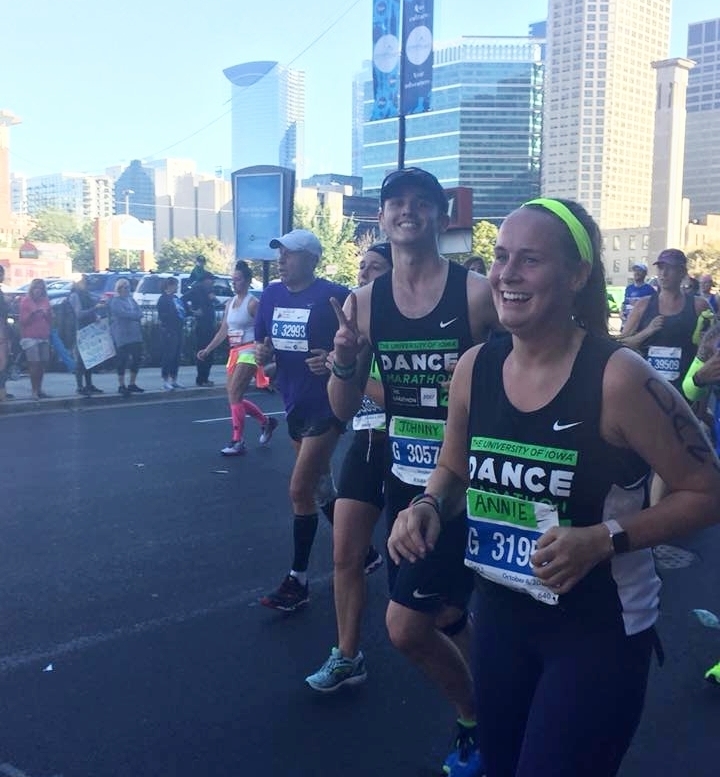 26.2 miles was nothing compared to what they endure every day, and I am so honored to have been able to run the Chicago Marathon for them!" "I laughed, I cried, I walked, I ran. But most importantly, I finished 26.2 for my heroes." "26.2 miles. Yep, that's a lot. Yeah, it hurt. But there are children and families up on the 11th floor of the Stead Family Children's Hospital in more mental, emotional, and physical pain than any of us could even imagine. Some of these children do not even know what life is like beyond the hospital walls. So compared to these incredible kiddos who continue to fight with all the strength they can muster from their tiny little bodies, 26.2 miles is nothing." "This race wasn't about me. It was about the kids fighting cancer on the 11th floor of the Children's Hospital in Iowa City." 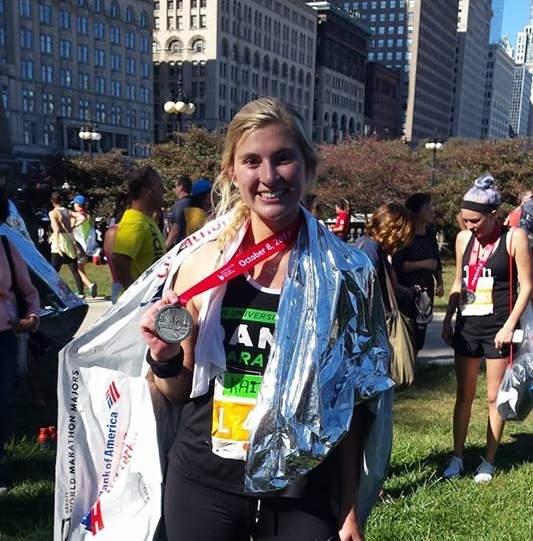 "Running the Chicago Marathon was one of the greatest experiences of my life! Being my first marathon, it was a little challenging, but with all of the people, friends, and family yelling "FTK!" and cheering me on, I was able to push through and finish one of my most prized accomplishments. I raised over $1,000 for the kiddos battling pediatric cancer at the Stead Family Children's Hospital in Iowa City! It is amazing how far you can go (26.2 miles actually) with a little inspiration from such an amazing cause. I loved every second of it and I am counting down the days until I can do it all again next year because honestly, it becomes an addiction!" "Marathons are hard, like really hard. But every time I looked down at my wrist and saw that list of kiddos that reminded me who I was running for, every stride got a little easier and a whole lot more meaningful." 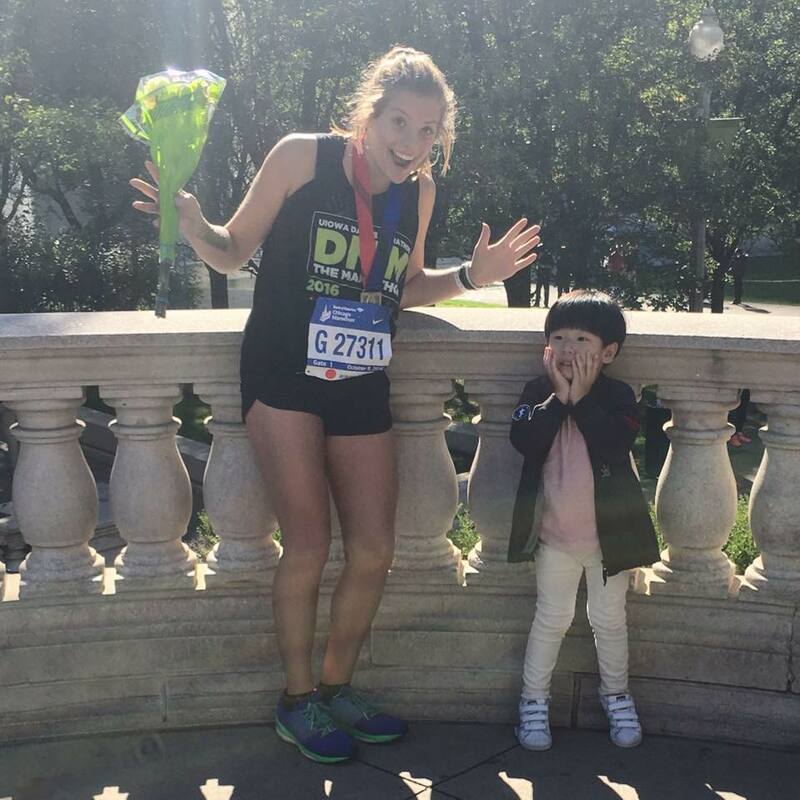 "Running Chicago was an unbelievable experience that I would recommend to anyone! People that that running a marathon is such an impossible feat, but being surrounded by 40,000 other runners and over 60,000 spectators makes the 26.2 miles go by in a blur. I'm so glad I got to experience it as well as raise over $1,000 FTK!" "I have no words for this past weekend...26.2 miles later and my love for this organization and these kiddos has grown even more than I thought possible. I ran for every kiddo that has no choice in what he/she endures, for every family that has had their lives permanently altered by pediatric cancer, and for the hope that one day pediatric cancer will be beat. Until then...we will dance, we will run, and we will fight. Peace, Love & FTK!" "And just like that, it’s over. Months of training, and 26.2 miles. 26.2 miles of running, crying, and continuously pushing forward FTK. I am so incredibly grateful for this experience, and in awe of the love and support in this world for these amazing kiddos fighting an unimaginable battle. If these kids can fight cancer, I can run 26.2 miles." 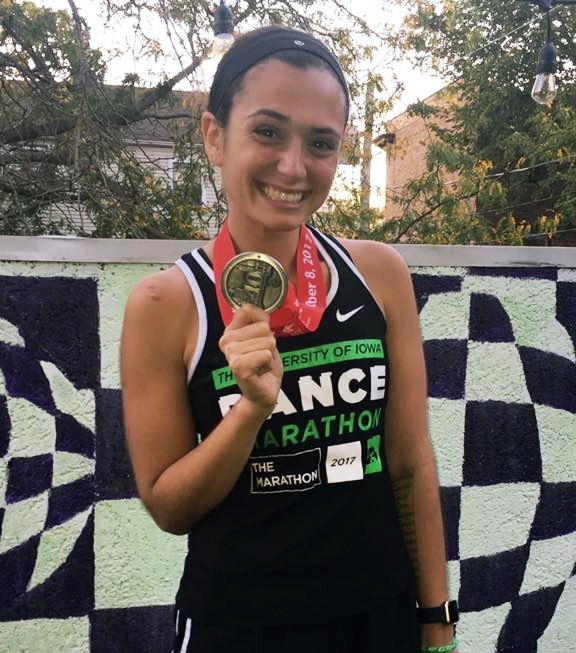 "Last year when I ran the marathon, it was such an honor to be one of the 200 people to be wearing my lime through downtown Chicago on that long, long run. This year, when given the opportunity to Run Chicago again, I did not hesitate to sign up. Running can be really, really hard. But, it never fails to amaze me how something so challenging becomes so rewarding. It is even easier when the motivation comes straight from the kiddos and straight from the "lime army" that is Dance Marathon. It is said time and time again, but those kiddos go through the unimaginable, and they do it all with a smile on their face. Now, running a marathon is nothing compared to battling cancer, but if that is what it takes to provide more smiles and more birthdays, I think we should all run a marathon (or five)!" We are also proud of all the wonderful Chi Omega Alumnae that ran the marathon this year, too! We are so proud of these amazing women and all that they have done after graduation! Hannah Credille (left) and Stef Mueller (middle), both class of 2015, loved their first experience of a marathon! Grace Rafferty (right), class of 2015, represented Lurie Children's Hospital in Chicago where she works as a nurse. Lauren Patnoe, class of 2014, had a big Chi Omega cheering squad! Sisters Taylor Curran (left) and Megan Merrion (right) from the class of 2015 cheered on Stef and all the other Psi Betas!